They say the “third times the charm”, well as it turns out, with this venue that is certainly true. 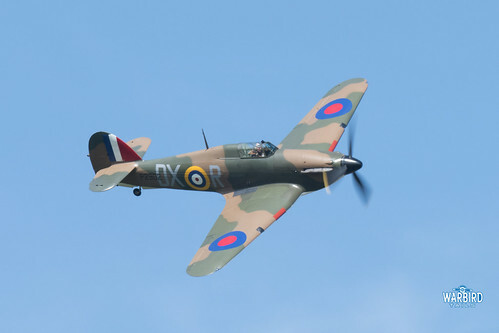 I had attended the Victory Show at Cosby twice before, on each occasion having been encouraged by the impressive reviews and reports online from previous displays. 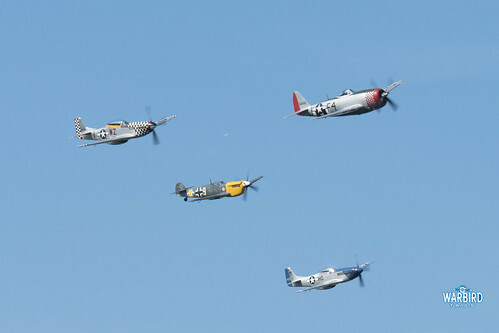 In 2012, a wonderful line up was on offer, though sadly with a distant display line. The other time, in 2017, saw the event and all flying cancelled. I decided to give the show another shot in 2018 thanks to a great forecast, impressive line up and promise of an impressive display line. I’m certainly glad I did, this years show may have been short, but it certainly made up for that in quality of acts on display and was well worth the long drive up from Kent. Cosby really is a venue like no other. The main draw of the event is the military re-enactment aspect with countless camps set up in and around the site representing different aspects and theatres of the second world war. 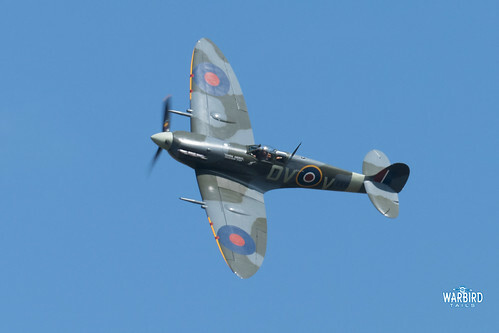 The main event of each day is an impressive battle re-enactment, which then leads on to the flying display commencing. The event site sits alongside a grass runway which offers incredible close viewing opportunities of taxiing, take off and landings. 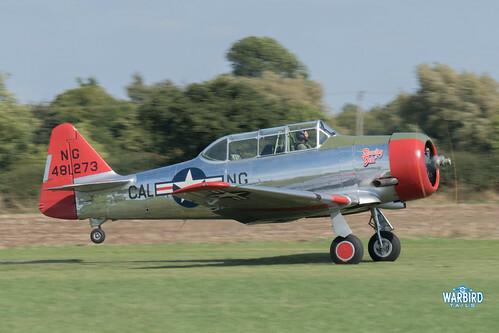 Arriving on Saturday morning I was greeted by a selection of Air Leasing operated warbirds joining the circuit, which made me feel much better about the long journey just completed. The flightline walk was just that, no barriers, just incredible machines and as many photo oppourtunies as you could hope for. 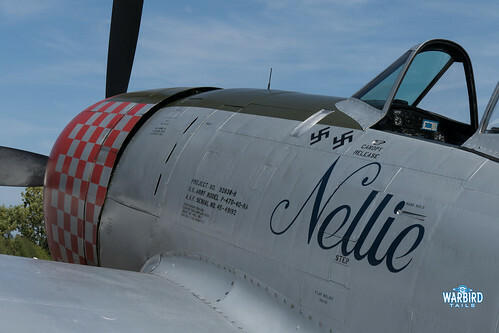 The star of the day for many, including myself, would have been the P-47 “Nellie” returning to the UK in 2018 having previously been a regular when known as “No Guts No Glory”. Incredibly this huge aircraft was sitting in amongst the open fields having arrived earlier that morning. I had hoped but never expected the “Jug” to operate off this strip, certainly a day to remember! The display line itself had been modified once again to allow the best compromise with local “no fly” zones and proximity to spectators. The chosen line resulted in a curved axis, with aircraft starting on the far side of the runway and banking around towards the north of the strip, before clearing to the east. What this meant, in practice was that each aircraft performed countless topside passes in glorious light, a photographers heaven! 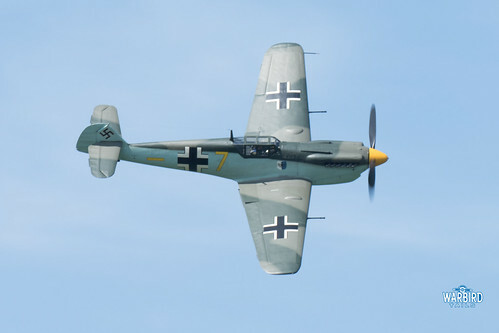 This also presented some unique views for spectators, with a chance to see some rare UK fighters up close. 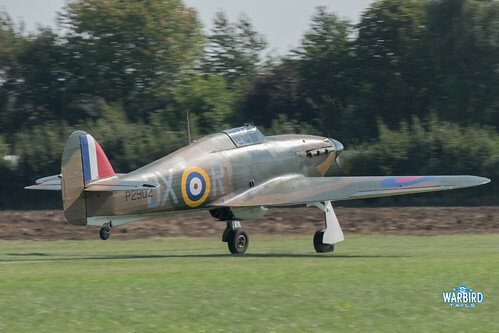 Anglia Aircraft Restoration’s Hawker Hurricane I P2092 G-ROBT opened proceedings along with the Bücker Bestmann performing a mock dogfight. 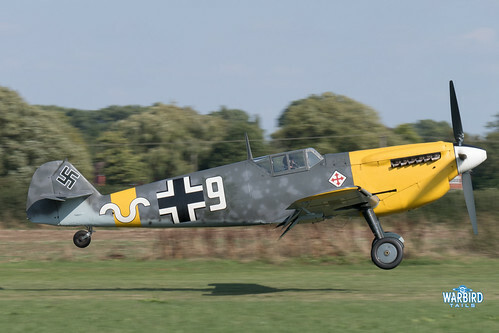 The Hurricane eventually claimed the Bestmann though any celebrations were short-lived as Buchon “Yellow 7” quickly arrived on the scene for a series of passes. A Spitfire pairing of Mk V EE602 and TIX ML407 were scrambled to assist the Hurricane and after a series of passes the four fighters joined up for a box four formation pass around the bend. In between the main fighter sequences, locally based Beech 18 “Good Vibrations” performed a few pairs passes with T6 “Dazzlin Debs” before the Harvard performed some gentle aerobatics (a drawback of the new display line appeared to be limited options for aerobatic figures, though the Harvard and P-47 did manage some on the runway portion of the display line). 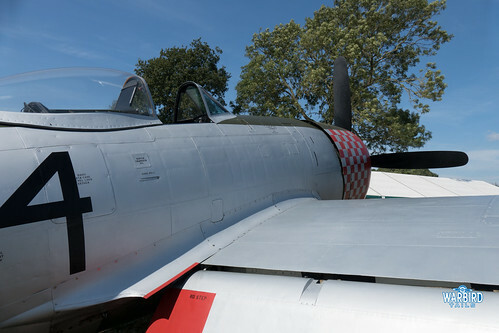 Representing the American involvement in the conflict were a pair of P-51 Mustangs (though “Contrary Mary” is a TF-51D) “Miss Helen” and “Contrary Mary” and P-47 Thunderbolt “Nellie”. 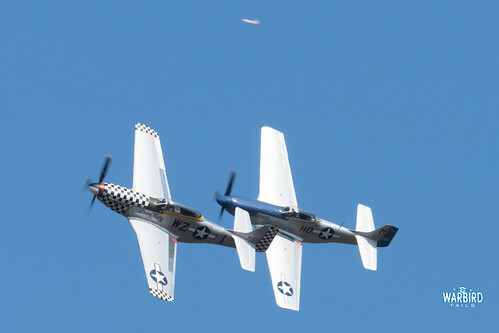 The Mustangs flew a lengthy pairs slot, at times seemingly flying as one, while the Thunderbolt climbed for height. 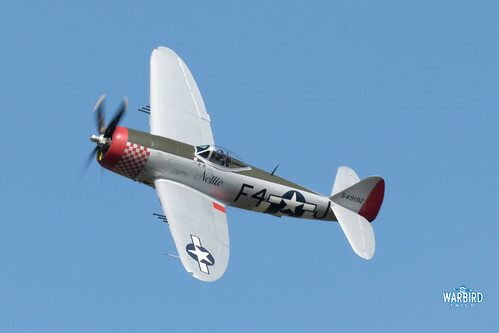 The ’47 flew a memorable display with a towering half cuban to open the display along with a couple of rolling figures thrown in alongside a series of tight topsides. 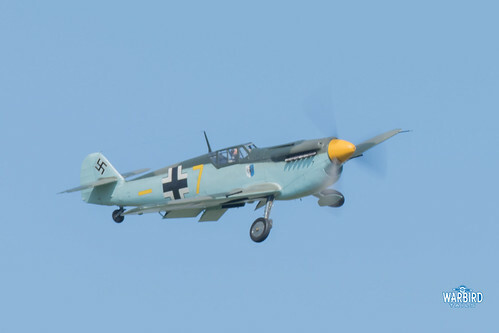 Another enemy arrived from Duxford with Buchon “White 9”, the latest to emerge from Air Leasing’s workshop, joining in on the action. 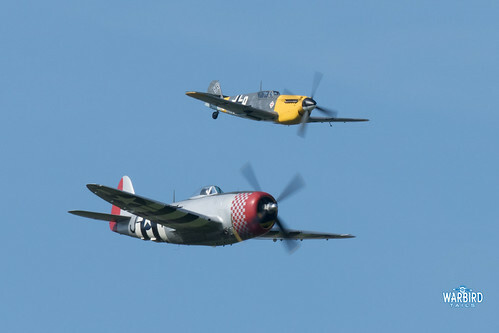 Once again the fighters joined up for a four ship pass before breaking into the circuit. 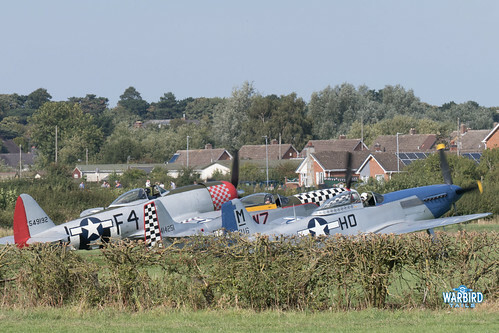 Watching these historic machines recover at such close proximity was incredible, being able to actually feel the Thunderbolt arrive on the grass at Cosby is another unforgettable moment from this day. In short, the Victory Show is back. I finally feel, after a couple of challenging attempts that I have experienced what is great about this show. 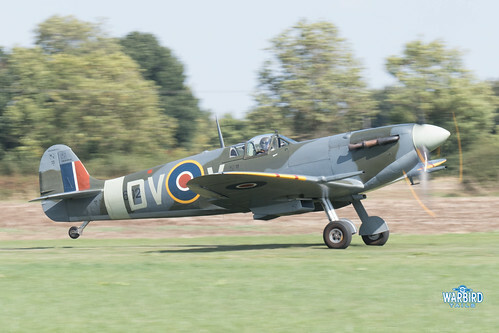 You will find more dynamic warbird flying elsewhere, undoubtedly, but the combination of close access on the ground, on take off and landing, alongside the extended, close display sequences make for a real contender on the UK circuit. If 2019 can retain the same format as this year and build on the flying programme, then Cosby could well and truly reclaim its place as airshow royalty, it offers something no other show does, that is for sure.